Tired of letting rust degrade your engines when you need long-term storage? Look no further than our Silica Gel Engine Desiccant Spark Plugs from Plug Dri! Just insert the 18mm plug like a spark plug, and have a bone-dry engine while it sits in storage! The handy color-changing Silica Gel inside changes when full of moisture, making sure you KNOW that your engine is safe and protected! Enjoy the confidence and certainty that comes from KNOWING your engines are safe and ready when you need them with easy to use Silica Gel Desiccant Plugs from Plug Dri! Just screw into the spark plug socket, and forget about it! And with handy color changing silica gel desiccant beads inside, It’ll be easy to visually see that the plug is working. The color changes from blue to pink as it fills with moisture! With a 18mm DIAMETER, this plug is ready for any task that calls for those specs. Don’t get “stuck” and add time to your restorations or long-term maintenance. Reach for the responsible engine desiccant solution that’s used in all kinds of heavy industry. Be ready for anything, no matter how long the parts have to stay in storage before you have time. Keep your engines pristine and corrosion free, effortlessly. 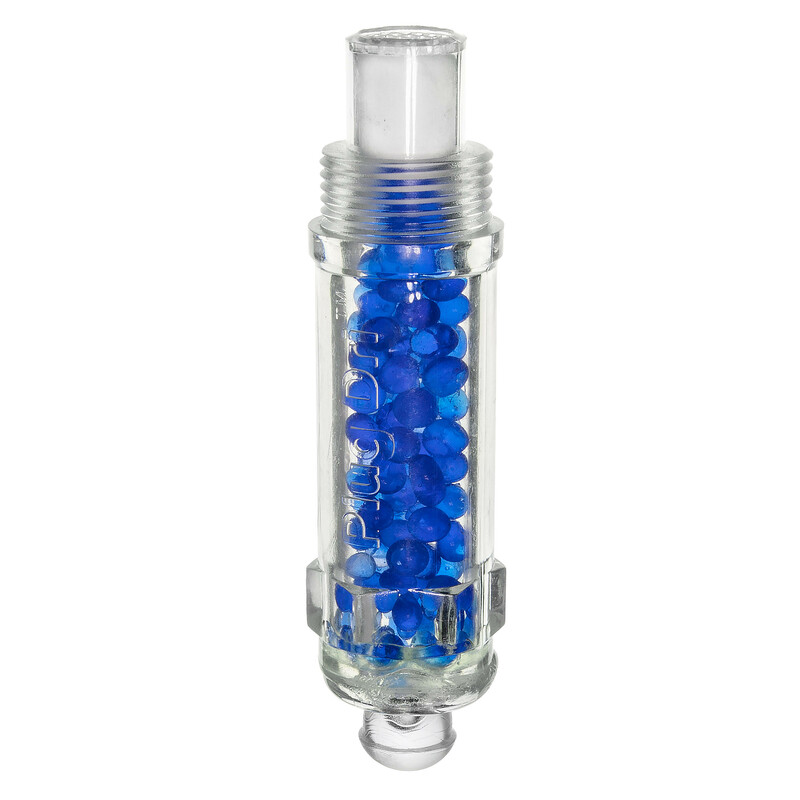 Order your desiccant plugs today… and fear the elements and the moisture no more! Plug has 18mm threads with a pitch of 1.50mm and fits standard 18mm spark plug applications most often found on larger engines and aircraft. Comes with one plug. Fits a 0.75" wrench for installation and removal. DO NOT OVER-TIGHTEN! Simply turn until snug. Made of see through plastic. Overall dimensions are 3.09" x 0.75" x 0.75".